Best & Flanagan LLP was founded in 1926 by law school friends Jim Best and Bob Flanagan. From its early concentration in trusts and estates, today’s firm of over 60 attorneys serves a highly diversified clientele and represents clients in all areas of civil practice. Greenspoon Marder Law was founded in 1981 with a goal to become big enough to handle large and complex cases while retaining a boutique atmosphere, in order to offer each client focused, personalized attention. Today, the firm has 140 attorneys, 400 staff, 50+ areas of law and 11 offices throughout Florida. Irwin Mitchell is a driven, ambitious firm which has seen consistent growth. We are the UK’s 11th largest full service law firm with 17 offices across the UK, employing 2,600 staff. In December 2015, Irwin Mitchell merged with Thomas Eggar, extending our reach into new areas (both UK and overseas) and adding significant scale to our Business Legal Services division. Nossaman LLP is an innovative, national law firm with 160 professionals working seamlessly across the United States with offices in Los Angeles, San Francisco, Orange County, Sacramento, San Diego, Washington, DC, Austin and Seattle. Whether it is working to finance and develop public infrastructure, provide healthcare services, litigate complex matters in unique niches such as land use and environmental, financial services, employment, and eminent domain, entitle private development, manage natural resources, complete real estate and business transactions, or increase business profitability, clients rely on Nossaman to get results. Pierce Atwood LLP has been a go-to firm for New England and national businesses facing large, complex, or high risk transactions or litigation for over 100 years. Since the mid-1990’s, Pierce Atwood has grown regionally so that its 160 attorneys now provide a full array of legal services in New England and beyond from our offices in Maine, New Hampshire, Massachusetts, Rhode Island, and Washington, DC (as well as an office in Stockholm, Sweden, serving Scandinavian intellectual property clients). Rawlings Giles is a firm specializing in international commercial transactions with offices in London, Paris and Brussels. Patrick Giles is head of the London office. Mr. Giles is a graduate of Dartmouth College and the University of Michigan Law School. He has practiced in London for 28 years and is a member of the Law Society of England & Wales as well as the State Bar of Michigan. 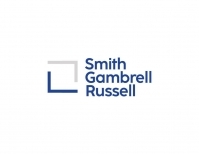 When the founders of Smith, Gambrell & Russell, LLP began practicing law in 1893, they did so with a commitment to excellence which has since become its heritage. Our firm is an innovative group of professionals who thrive on guiding our clients to their goals in the competitive challenges of today's marketplace. With about 220 attorneys, the firm offers an unusually comprehensive and diverse range of business-oriented services. Williams Mullen is a full-service law firm with more than 230 attorneys in offices across North Carolina, South Carolina, Virginia and Washington, D.C. Since our firm began in 1909, our goal has been to provide business and legal solutions to help our clients' businesses thrive. Windels Marx Lane & Mittendorf and its predecessors have been practicing law in New York City continuously since 1830. The firm of approximately 120 lawyers, with offices in New York, New Jersey and Florida, represents clients varying in size from some of the largest corporate and financial institutions in the world to new business enterprises. The major areas of its practice include: corporate, litigation, insurance, banking and finance, real estate, antitrust, creditors' rights and bankruptcy reorganizations, tax, environmental and trusts and estates. Winstead attorneys work collaboratively with clients in numerous industries to help achieve their business goals. For each project and relationship, our philosophy remains the same—Invest, Inform, Empower.